This image is praised for its focus. And the empty bench seat in front of the speaker is perceived as inviting to the viewer. The solid dark background helps the subject to stand out but almost obscures Norman Rockwell‘s signature. It is a scene of a local town meeting in which one person spoke out in lone dissent but was accorded the floor as a matter of protocol. 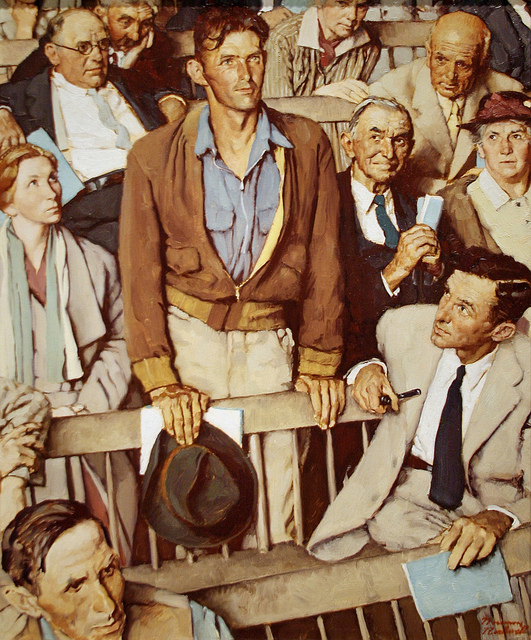 Once he envisioned this scene to depict freedom of speech, Rockwell decided to use his Vermont neighbors as models for a Four Freedoms series. 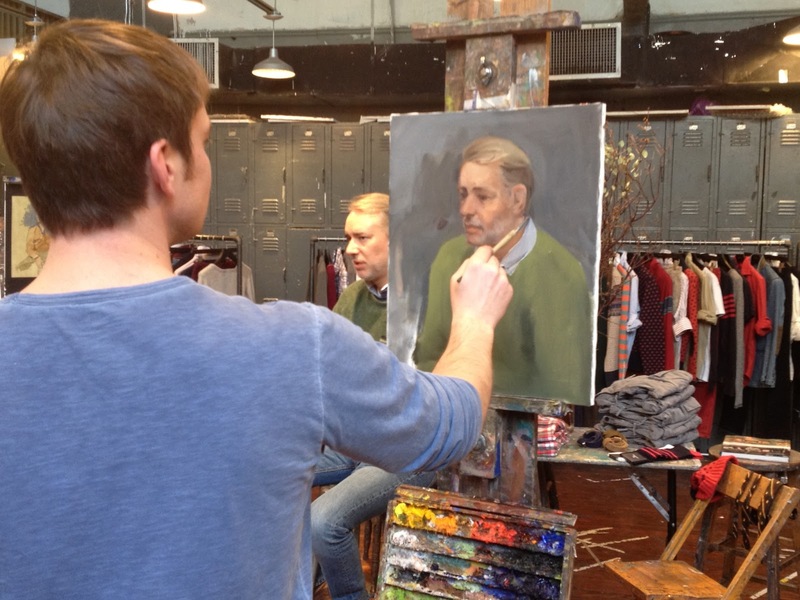 The painting took four attempts. Earlier versions were troubled by the distraction of multiple subjects and the improper placement and perspective of the subject for the message to be clear. “Maybe it’s because it was an election year, but I was feeling interested in what it is to be an American,” Michael Bastian said. 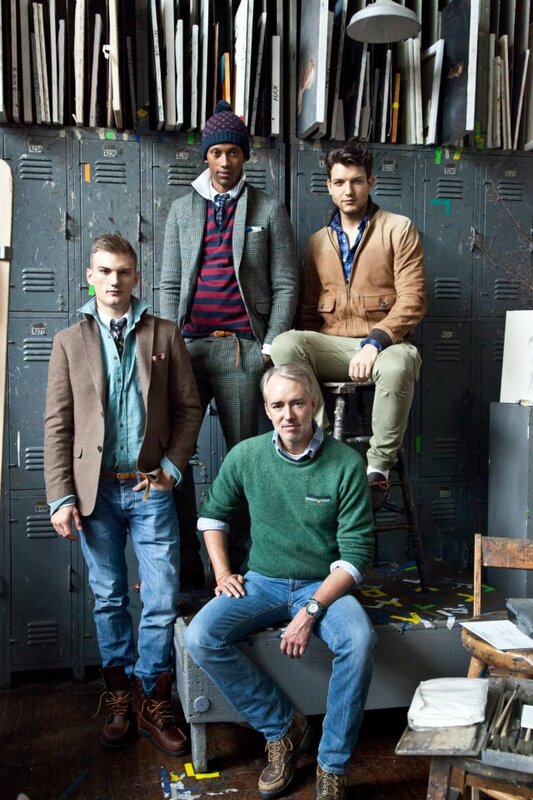 Swedish parent company or not, Gant is an all-American label (provenance: New Haven, Connecticut) with an all-American designer and, for Fall, an all-American inspiration: Norman Rockwell. 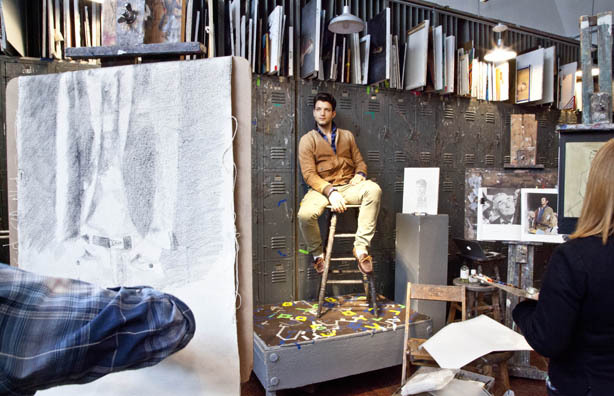 Bastian called the collection In Stockbridge, after Rockwell’s Massachusetts hometown, and showed it at New York’s Art Students League, where a young Rockwell studied. 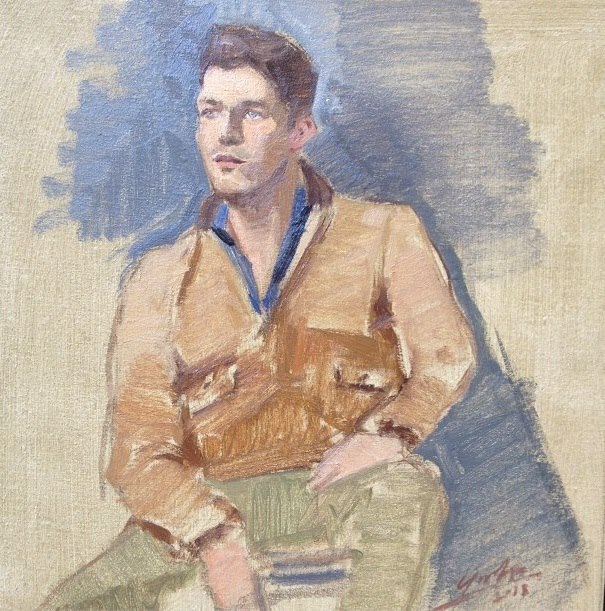 A portrait photo of Michael Bastian by one of the students. This comes after collections that saw Bastian channeling Tropicàlia in the Galapagos and skiers in Scandinavia; its ambitions, its designs, and its feeling went far afield. “It had spiraled into a designer collection,” Bastian admitted, which is not what it was intended to be. So he brought it off calendar this season, “more about the clothes and less about the spectacle.” What it amounted to was a kind of Greatest Hits collection, which offered anew some of the easy basics Gant was founded on: chinos, oxford shirts, cashmere sweaters. “Every guy needs a navy blazer and a perfect oxford, and we never do them,” he said. Now he does. 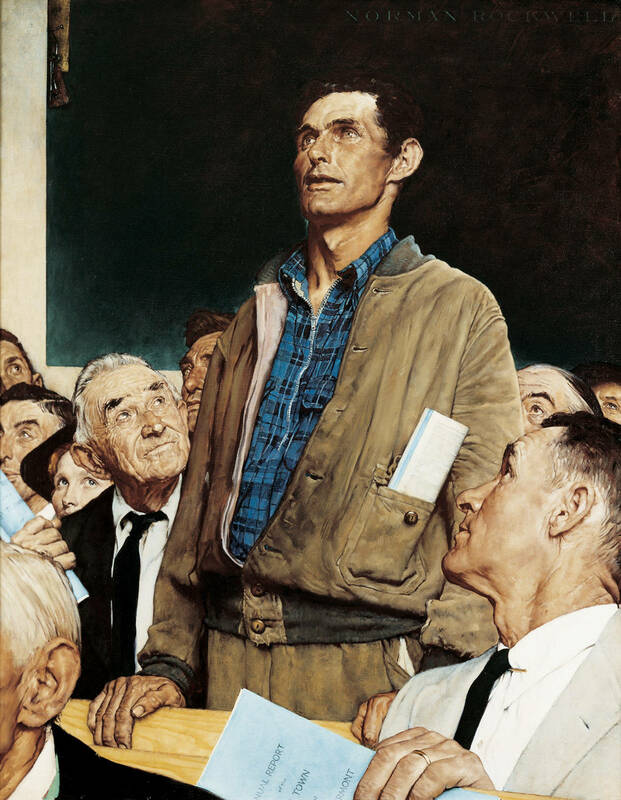 There are new fabrications, of course, and even the odd old-newness of pieces lifted directly from Rockwell’s work, like a hardy suede jacket borrowed from Freedom of Speech. And Bastian being Bastian, there are still bolder color combinations and layering than you’d find in any edition of the Saturday Evening Post.